The elite funds run by legendary investors such as David Tepper and Dan Loeb make hundreds of millions of dollars for themselves and their investors by spending enormous resources doing research on small cap stocks that big investment banks don’t follow. Because of their pay structures, they have strong incentives to do the research necessary to beat the market. That’s why we pay close attention to what they think in small cap stocks. In this article, we take a closer look at Banco Santander (Brasil) SA (NYSE:BSBR) from the perspective of those elite funds. Is Banco Santander (Brasil) SA (NYSE:BSBR) a buy, sell, or hold? Hedge funds are getting more bullish. The number of long hedge fund positions rose by 3 recently. 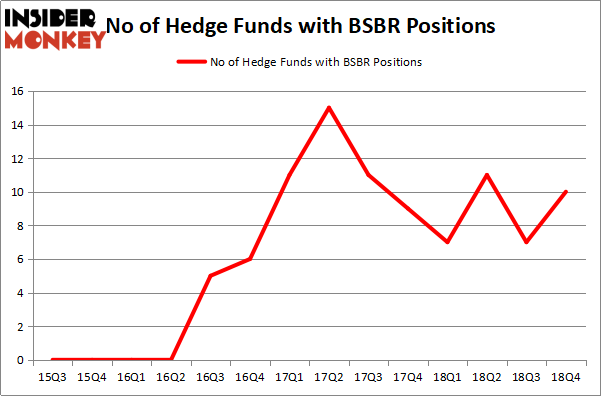 Our calculations also showed that BSBR isn’t among the 30 most popular stocks among hedge funds. BSBR was in 10 hedge funds’ portfolios at the end of the fourth quarter of 2018. There were 7 hedge funds in our database with BSBR holdings at the end of the previous quarter. We’re going to take a look at the key hedge fund action surrounding Banco Santander (Brasil) SA (NYSE:BSBR). 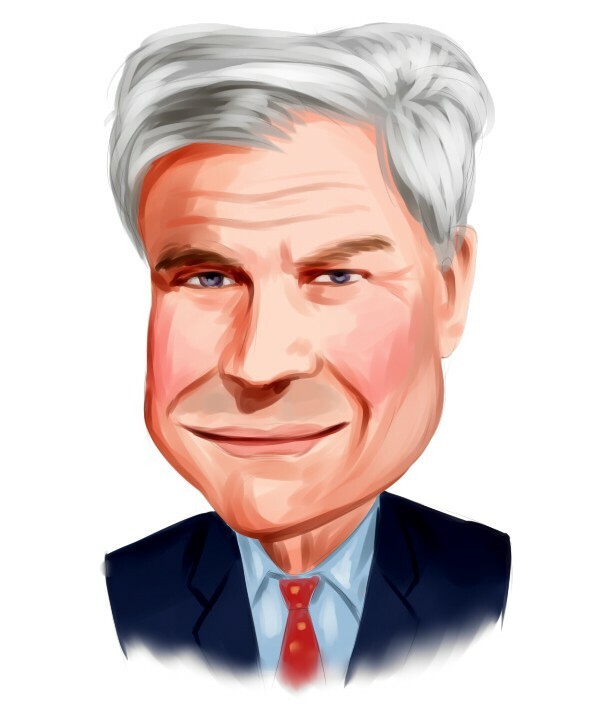 What have hedge funds been doing with Banco Santander (Brasil) SA (NYSE:BSBR)? At the end of the fourth quarter, a total of 10 of the hedge funds tracked by Insider Monkey were bullish on this stock, a change of 43% from the previous quarter. On the other hand, there were a total of 7 hedge funds with a bullish position in BSBR a year ago. With hedge funds’ capital changing hands, there exists an “upper tier” of key hedge fund managers who were adding to their stakes meaningfully (or already accumulated large positions). More specifically, GLG Partners was the largest shareholder of Banco Santander (Brasil) SA (NYSE:BSBR), with a stake worth $77.6 million reported as of the end of September. Trailing GLG Partners was Capital Growth Management, which amassed a stake valued at $57.6 million. Renaissance Technologies, AQR Capital Management, and Two Sigma Advisors were also very fond of the stock, giving the stock large weights in their portfolios. Now, key money managers were breaking ground themselves. Capital Growth Management, managed by Ken Heebner, created the largest position in Banco Santander (Brasil) SA (NYSE:BSBR). Capital Growth Management had $57.6 million invested in the company at the end of the quarter. Peter Rathjens, Bruce Clarke and John Campbell’s Arrowstreet Capital also initiated a $2.7 million position during the quarter. The following funds were also among the new BSBR investors: Ronald Hua’s Qtron Investments, Ken Griffin’s Citadel Investment Group, and Israel Englander’s Millennium Management. Let’s go over hedge fund activity in other stocks similar to Banco Santander (Brasil) SA (NYSE:BSBR). We will take a look at NextEra Energy, Inc. (NYSE:NEE), Rio Tinto Group (NYSE:RIO), NVIDIA Corporation (NASDAQ:NVDA), and American Express Company (NYSE:AXP). This group of stocks’ market valuations match BSBR’s market valuation. As you can see these stocks had an average of 37.75 hedge funds with bullish positions and the average amount invested in these stocks was $5155 million. That figure was $171 million in BSBR’s case. American Express Company (NYSE:AXP) is the most popular stock in this table. On the other hand Rio Tinto Group (NYSE:RIO) is the least popular one with only 23 bullish hedge fund positions. Compared to these stocks Banco Santander (Brasil) SA (NYSE:BSBR) is even less popular than RIO. Our calculations showed that top 15 most popular stocks among hedge funds returned 19.7% through March 15th and outperformed the S&P 500 ETF (SPY) by 6.6 percentage points. Unfortunately BSBR wasn’t in this group. Hedge funds that bet on BSBR were disappointed as the stock returned 9.8% and underperformed the market. If you are interested in investing in large cap stocks, you should check out the top 15 hedge fund stocks as 13 of these outperformed the market. Were Hedge Funds Right About Novartis AG (NVS)? Were Hedge Funds Right About Merck & Co., Inc. (MRK)? Here is What Hedge Funds Think About Cisco Systems, Inc. (CSCO) Should You Buy The Boeing Company (BA)? Do Hedge Funds Love Taiwan Semiconductor Mfg. Co. Ltd. (TSM)? Were Hedge Funds Right About The Coca-Cola Company (KO)?